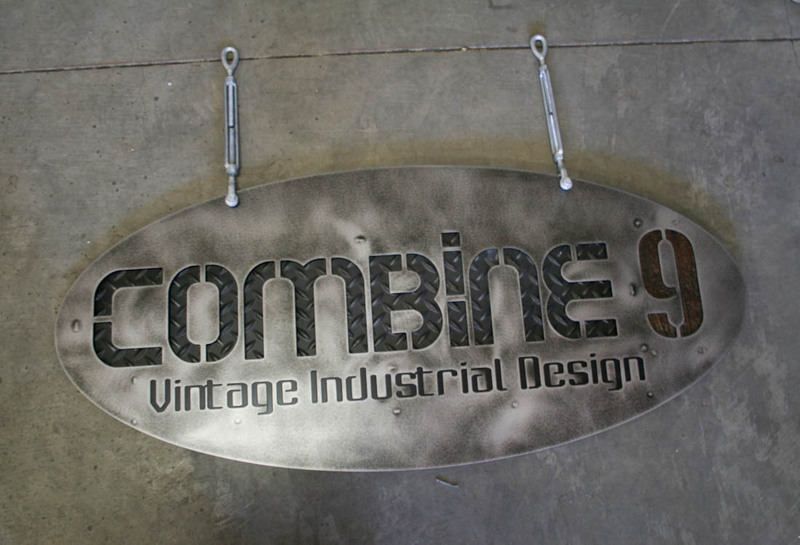 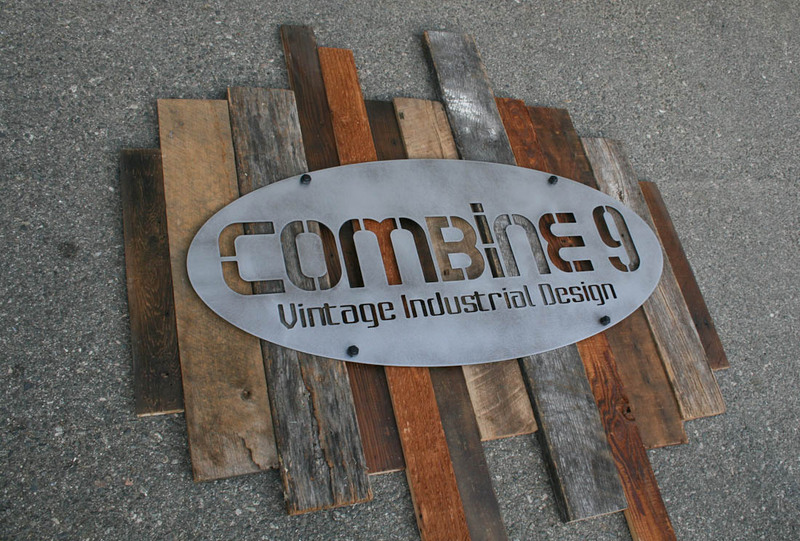 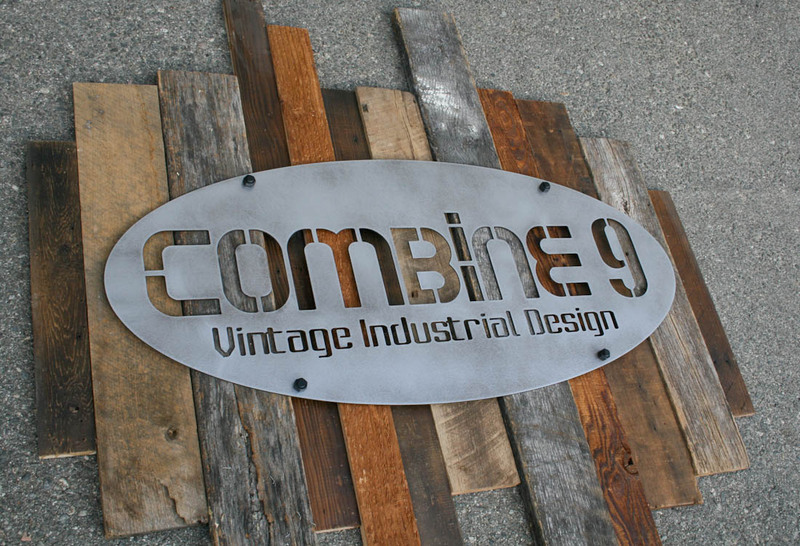 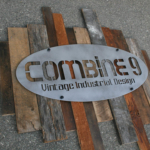 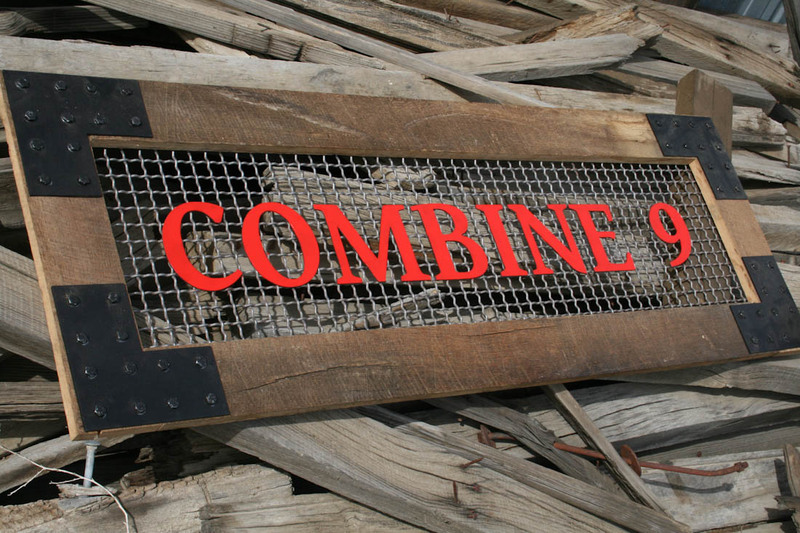 The sign shown here is an example of one of our industrial style signs. 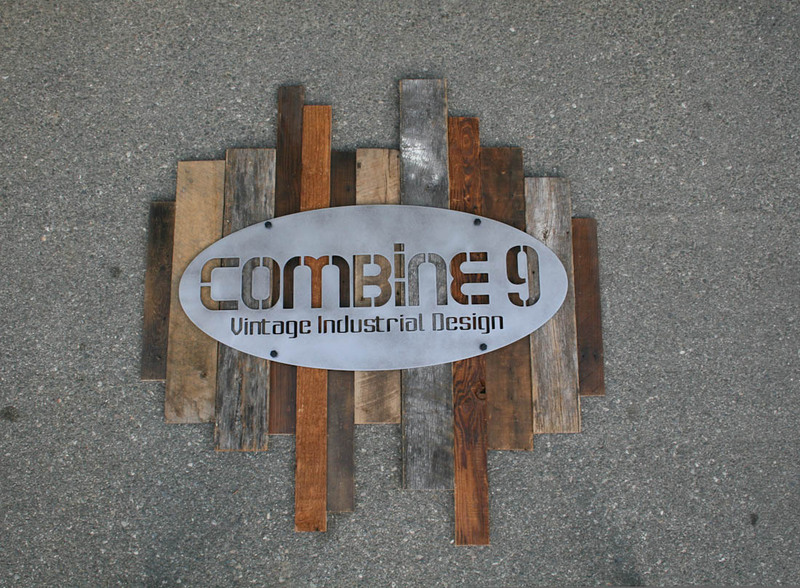 It has a beautiful reclaimed wood background. 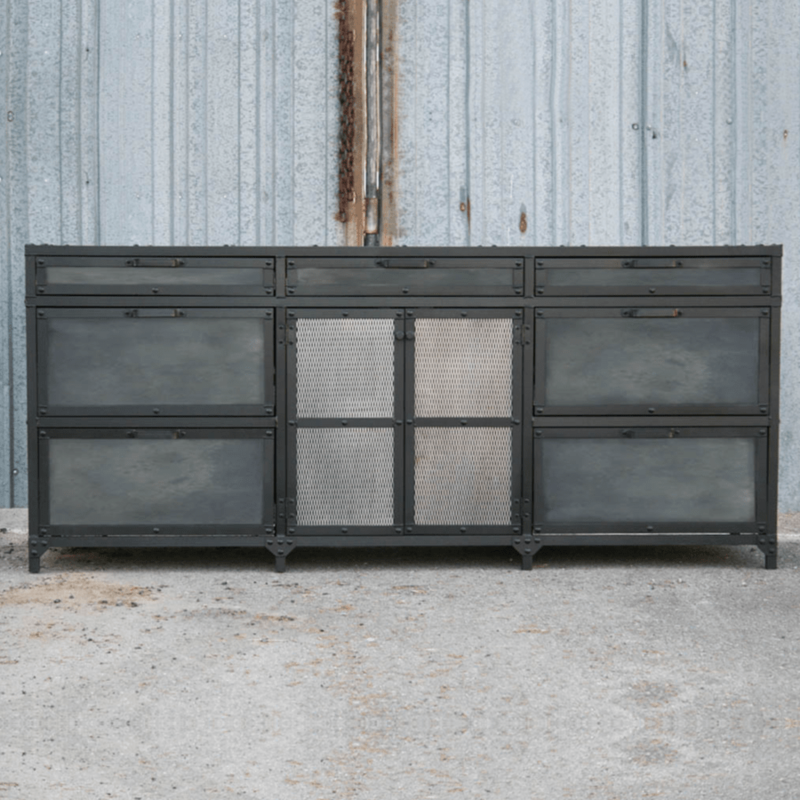 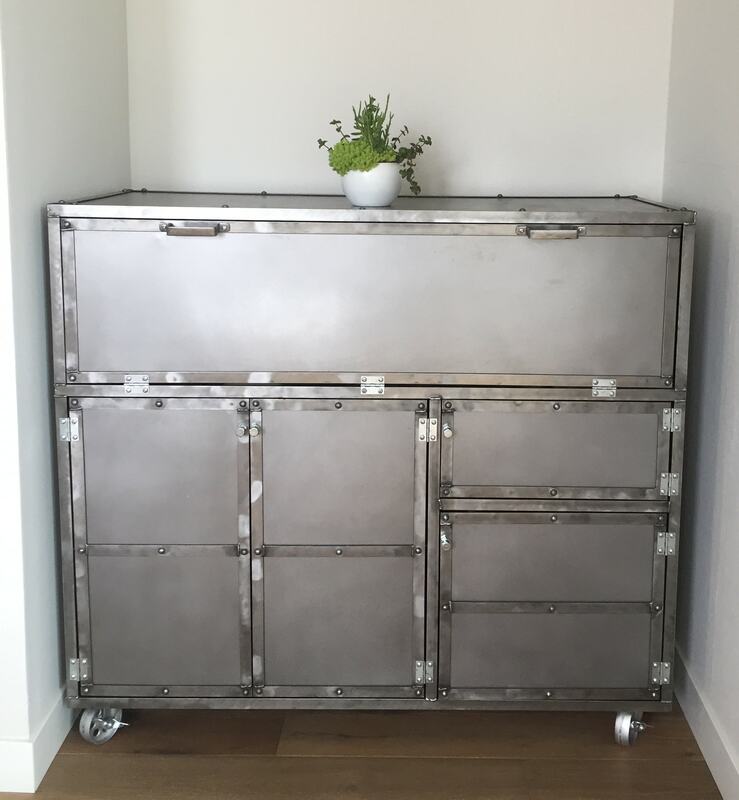 The one shown is approximately 43″ at its tallest and 50″ at its widest, (the steel oval is 19″ x 43.5″), but can be made in many different sizes and shapes, and in different finishes (see other items for examples of finishes). 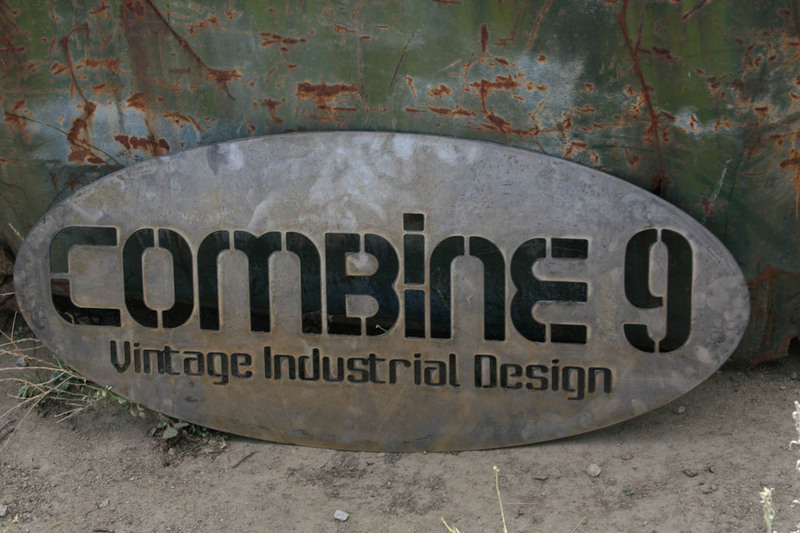 One of the great things about a sign like this is that no two will ever be exactly the same. 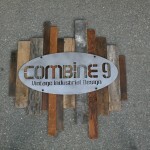 The wood has a lot of variation to it and is put together by hand. 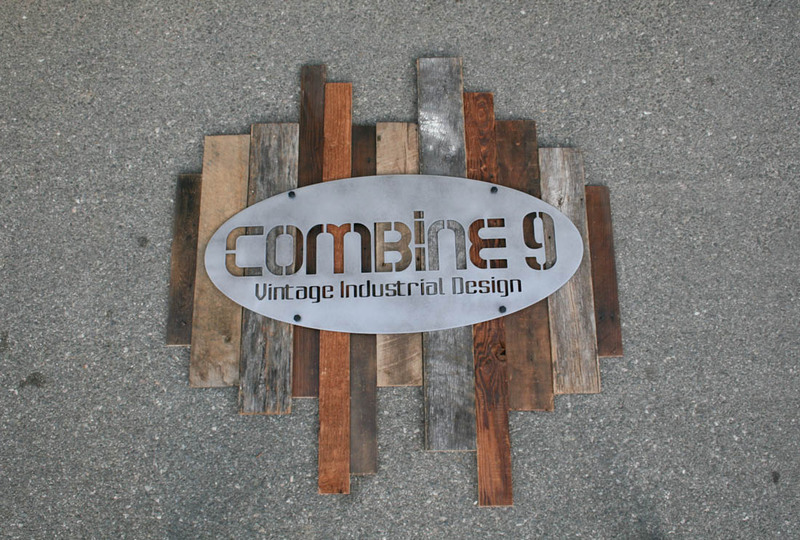 We have different types and shades of reclaimed wood, and new wood is also available. 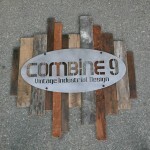 The price for one as shown (in similar size/options) is $800.00. 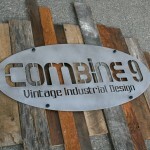 Please inquire for pricing on any size or style customizations.